Depending on your door jambs or existing bollards, various configurations are offered, easy to install and use. Choose from 6 styles, all powder coated. They manually extend with ease and automatically retract. No electrical required. 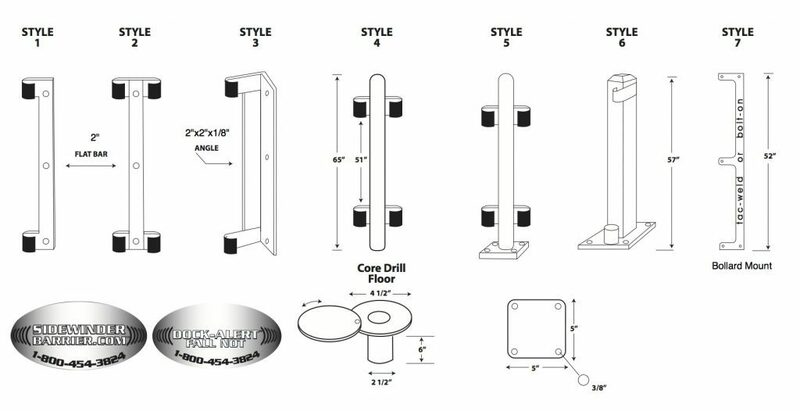 Style 7 is a bollard mount bracket for DOCK-ALERT®.